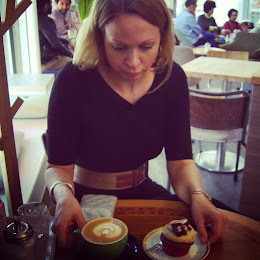 ADD Café is the first espresso café in Otaniemi campus area in Espoo, Finland. 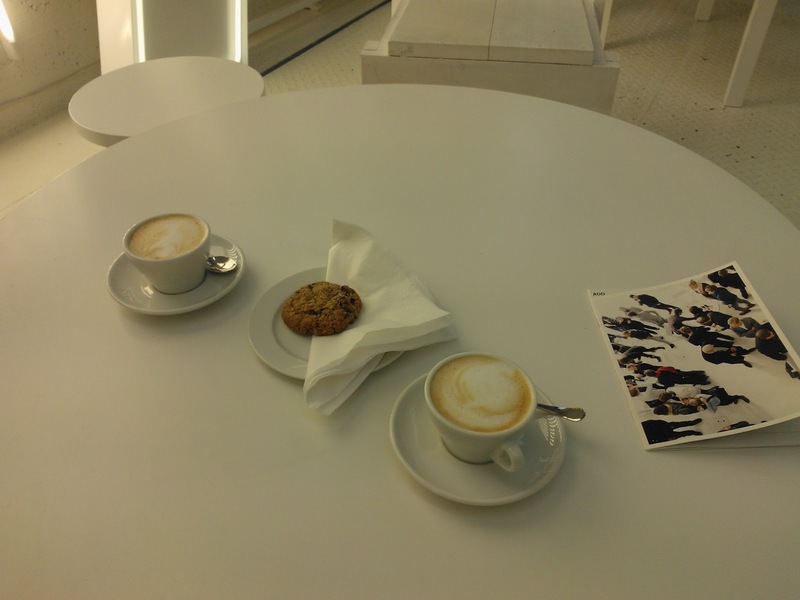 The Cafe is run by Aalto university students and located at the lobby of Aalto digital design laboratory. Opened in January 2013 Add café is a long waited alternative for all the lunch canteen cafes serving only regular coffee and coffee from the coffee machines. I wonder how it has been possible for all this time that the busy campus area has not had a single proper café serving speciality coffees? The location of the café can be somewhat challenging and does not really attract people to stop by accidentally. On the other hand this makes the place feel even more special and underground I would say. The interior of the café is all white with very modern wooden chairs and tables. It looks actually very nice and has somewhat a futuristic feeling in it. Maybe a cosy sofa would make it even better and I am pretty sure the students would like it too. Their cappuccino tasted good and smooth and also the cranberry cookie I once had there was good. Still, I would prefer a wider selection of pastry – chocolate pralines could be a good alternative to start. Anyway, if you are in the Otaniemi area this is practically the only place for decent coffee. ADD Café opens again after summer break on 2nd of September! Suomeksi: Otaniemessä on tarjolla muutakin kuin automaattikahvia!